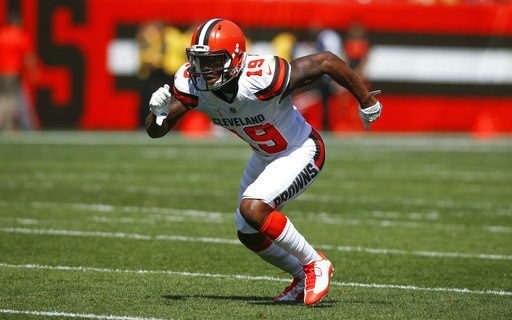 Sunday night the Buffalo Bills were able to swing a trade with the Cleveland Browns for third year wide receiver Corey Coleman. Looking at the Bills depth chart at the wide receiver position it looked like one of, if not the weakest positon on the team, so the trade was not a surprise. When we look at what the Bills gave up to acquire Coleman, it was a deal the Bills almost had to make. It’s been reported that the Bills only gave up a 2020 seventh round draft pick for Coleman. No matter what Coleman does for the Bills, the trade was well worth the price to get Coleman. Another thing to look at is since John Dorsey took over as General Manager of the Browns last December, Coleman’s production has been non-existent. In the last three games of the 2017 season Coleman had only three receptions for a total of 15 yards and no touchdowns. Coleman was not a Dorsey draft pick so there was no allegiance to Coleman on Dorsey’s part. A third thing we can look at is with new offensive coordinator Todd Haley running the Browns offense, Coleman may not have been a fit in the scheme. Add in new receivers Jarvis Landry, Jeff Janis, rookie Antonio Calloway, and Josh Gordon coming back, there was no room for Coleman on the Browns roster. So what does Coleman bring to the table for the Bills? In the 2016 Pro Football Weekly Draft Guide I had Coleman rated as the third best receiver in that Draft. What I liked was his rare speed and athleticism, good hands and big play ability. My concerns were he played in an offense that had a limited route tree, he wasn’t a good route runner and most importantly, when he wasn’t the primary receiver he was very lackadaisical with his routes. My grade was based more on his natural talent and upside than what I actually saw on tape. Since Coleman has come into the League he has improved as a route runner but to say he is polished would be wrong. He is still a work in progress and much of that is because of the time he missed with injury. Coleman can play inside or outside, but at his size (5’11 – 188) he looks more like an inside type. With his speed, he can be tough to cover and is a consistent threat to get open deep. What he has to prove going forward is that he has what it takes both mentally and physically to become a good NFL receiver. He has to come to work every day prepared to work and improve. If he can do that, the Bills got a steal when you consider they only gave up a seventh round pick to get him. With the Bills thin receiving corps and lack of much top end speed, Buffalo was the ideal landing spot for Coleman. Now it’s up to Corey to make it work. Time will tell.